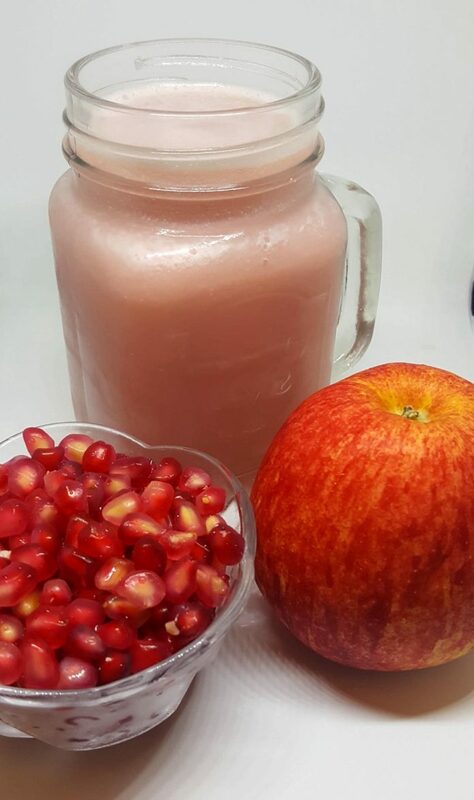 Pink Passion – A juice made by blending apples and pomegranates. All of us have heard the phrase “ An apple a day keeps the doctor away”. 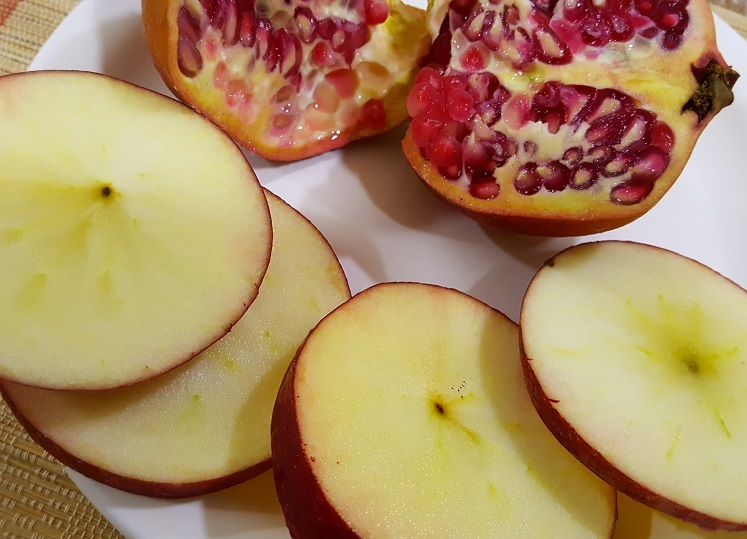 It is not the apple alone but pomegranates are also great for health. Pomegranate is a rich source of vitamins and antioxidants. Pomegranates are often consumed to cure stomach disorders. A juice made by combining apples and pomegranates makes for a healthy and delicious drink. Pomegranates are supposedly good for the skin health too. That’s the reason I have named this juice as “Pink Passion” as consuming this juice regularly will help to have a glowing skin and keep you in the pink of health. Wash the apples and pomegranates. Cut the pomegranates and remove the seeds from it. Cut the apples into cubes. Add the pomegranate seeds to a blender and blend for 2 minutes. Now add the chopped apple. Add ¼ cup water and blend to a smooth puree. Strain the puree through a strainer and extract the juice. Add black salt to the juice and serve. I have not peeled the apples. You are free to peel the apples before blending it. Secondly, after blending I have strained the puree to obtain the juice. Alternatively, the puree can be diluted by adding water and you can have the thick juice, so that you are not wasting any fruit fibres.